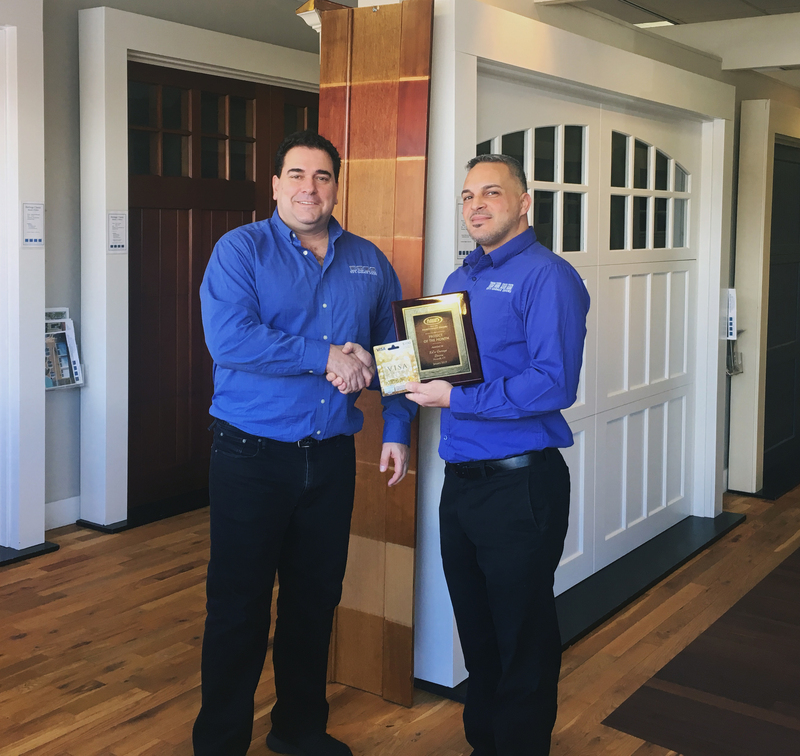 Our Project of the Month award for January 2017 was presented to one of our most renowned dealers – Ed’s Garage Doors in Norwalk, Connecticut. 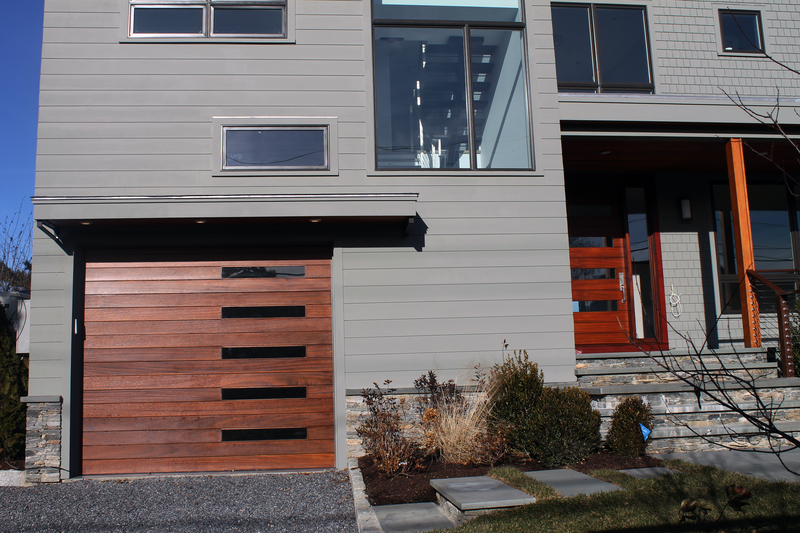 This new construction residential project was for a home in Westport, Connecticut and used a beautiful contemporary 9’x8′ custom wood Heritage Classic door that managed to match the style of the home and the entry door effortlessly. The process from concept to completion was pretty straightforward. 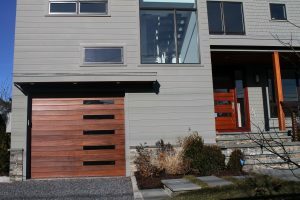 An architect involved in the project from Wormser + Associates of Westport, CT had seen a unique door online and wanted to achieve something similar. Northwest Door’s engineering department was able to create a custom drawing for the door, and Ed’s installed it in about nine hours with 54 inches of breakaway high lift track (workaround for a loft in the garage) and a LiftMaster Model 8500 wall mount opener. The builder on the project, Redwood Construction & Consulting of Bethel, CT also comes highly recommended by Ed’s Garage Doors. The Heritage Classic is Ed’s number one selling product and has been for years. 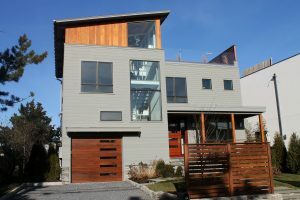 Most of the homes in the New England area have real wood siding, so it’s common for homeowners to want wood doors that are similar in style. Ed’s Garage Doors was established in 1972 and purchased by Rich Cunningham from his father-in-law in 1989. 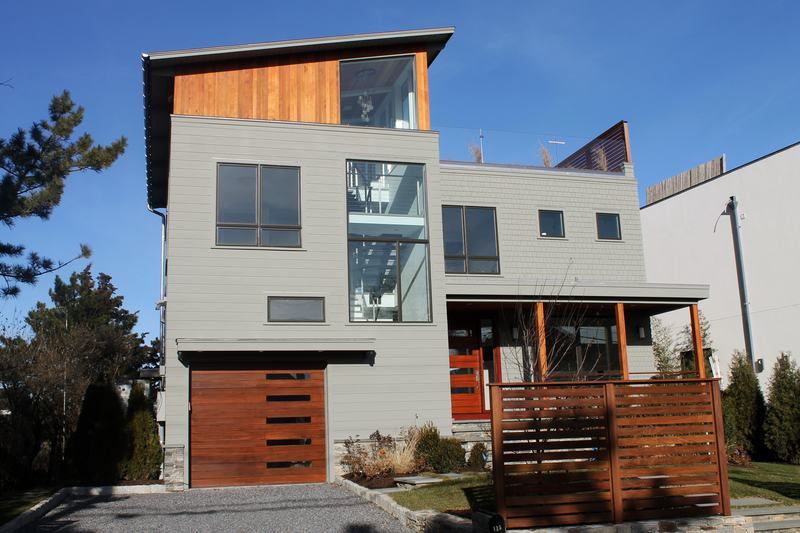 They service all of New England and while they are happy to offer commercial installations, residential projects consume about 95% of their workload. Rich told us that their company prides themselves on having great customer service, and in the garage door industry that tends to be a factor that separates the good from the best. Rich and Angelo really like opportunities where they get to put their creativity to use. Architects are getting more detailed with their designs these days, which gives Ed’s the chance to find the perfect door to complete their work of art. Ed’s is constantly working on unique projects and are currently finishing a group of Heritage Classic C-Series high-lift swing-out doors in Maryland. 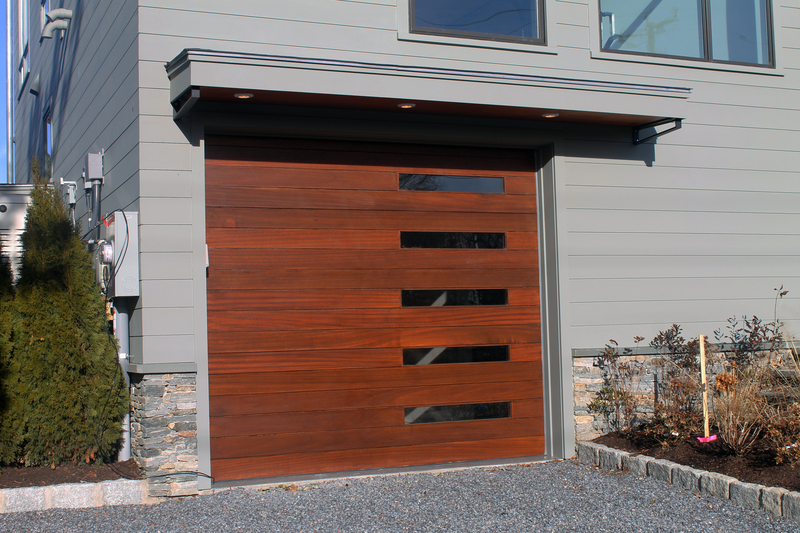 If you live in the New England area and have a garage door project you’ve been dreaming of, get in contact with Ed’s Garage Doors! If you would like to see a large selection of Northwest Door products in person, visit their 7,500 square foot showroom located at 136 Water Street Norwalk, CT 06854. It is the largest showroom in Fairfield County and is open Monday – Friday from 8am-5pm, Saturday from 9am-3pm and evenings by appointment.